Although the Mayan Train has been referred to as a 'bullet train,' it will run at a half speed of 130 kilometers per hour (80 mph), slightly slower than comparable high-speed rail systems around the world. 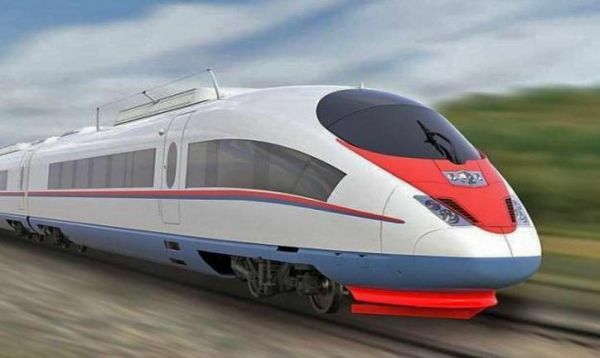 Quintana Roo, Mexico - According to senator-elect José Luis Pech Várguez of Quintana Roo construction on a new rail line for the high-speed 'Mayan Train' that will connect some of the most popular tourism destinations in Mexico's Yucatan Peninsula will begin in 2019 and should take about six years to fully complete. The new tourism train, which has been on and off the books in Mexico for at least six years, recently became a campaign promise for Mexico's newly elected president Andrés Manuel López Obrador (AMLO). After a meeting last week with his new cabinet, who begin their terms on December 1, 2018, AMLO prioritized his commitment to 35 campaign promises, including the tourism train. The National Tourism Development Fund known as Fonatur will be in charge of the infrastructure project, which is expected to cost 100 billion pesos ($5.2 billion USD). 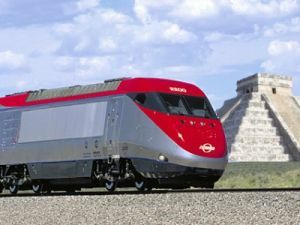 The train line, which is being designed to bring visitors from the northern part of the peninsula further south, while also while giving them easy access to the most significant Mayan archaeological zones in Mexico, will connect three states: Quintana Roo, Campeche and Chiapas. "We are going to support tourism in this region of the country, but there will be equity; so that the tourists who come to Cancun, to Playa del Carmen, can easily explore the Mundo Maya in the southern regions," Obrador said at a recent rally. The objective is to develop cultural tourism in the archaeological zones of Quintana Roo, Campeche and Chiapas. The proposed line will commence in Cancun and run through Tulum, Carillo Puerto and Bacalar-Xcabal, Quintana Roo. It will then continue on to Calakmul and Becan in Campeche before terminating in Palenque, Chiapas. Senator-elect Várguez said that the project is already under development, and that the first phase, the stretch connecting Cancun with Tulum, is expected to be complete in two years. Although detailed routing is still being established, stops could include Playa del Carmen and Puerto Morelos. The Mayan Train project is just one of the top priorities for the state. Other top initiatives include reforestation of the area's natural jungles and investing in the reconstruction of archaeological zones to further strengthen tourism activities in the South.